Our Preventing Academic Irresponsibility page, part of the full Academic Responsibility at Bucknell Web site, describes ways to both prevent and to detect plagiarism. With plagiarism, to quote Benjamin Franklin, “an ounce of prevention is [indeed] worth a pound of cure.” In other words, if you educate students about plagiarism and academic honesty, if you assign original work that would be hard for students to find on Web-based sources, and if you actually assign the full writing process – asking students (perhaps) to submit an annotated bibliography, a topic statement, an outline or rough draft, etc., as they work on their assignments – then you will be reducing the likelihood that students will intentionally copy full papers or even extended passages from other sources without proper citation. Another way of encouraging students to submit original work is to add a Turnitin Assignment to your Moodle course. All student work submitted to a Turnitin Assignment is compared to Turnitin’s database of previously submitted work. That database includes documents openly available on the Web, articles from some journals and other periodicals, and student work submitted to institutions that subscribe to Turnitin. Soon after students submit the Turnitin Assignment, Turnitin generates an originality score that indicates the percentage of language in the student submission that matches other sources. The originality report also provides a side-by-side comparison of the student passage with each matching source. Please note that the Turnitin database does not necessarily include journals that require a subscription, and so students can still copy extended passages from published work without necessarily being caught by Turnitin. Faculty members still need to trust their intuition about student writing that sounds too polished to be that student’s actual original work. If you don’t use a Turnitin Assignment but receive student work that sounds suspicious, you can also create a hidden Turnitin Assignment in a Moodle course, and you can manually submit an individual student essay (or essays) to have it (them) checked for originality. 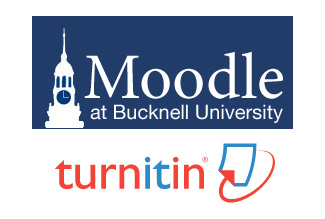 Here are instructions on how to add a Turnitin Assignment to a Moodle course. Please contact our Digital Pedagogy and Scholarship (DP&S) Group if you have any questions about Moodle and the Turnitin Assignment type.